The quickest way to increase realism in your medical simulation program is to start utilizing moulage, aka makeup special effects, to better represent clinical patient cases — and the best place to begin is with Bobbie Merica and Moulage Concepts. 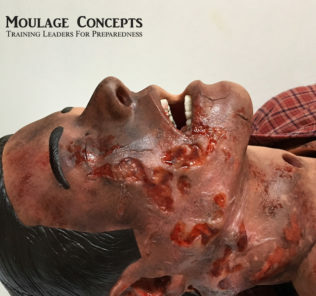 Since 2009, Moulage Concepts has been providing moulage training workshops, online resources, moulage kits, moulage products, certificate training programs, and even the world’s most comprehensive Moulage Book. Their resources cover all healthcare domains from EMS and active shooter drills to MCIs, Med Surg, Nursing, Hospice Care, Surgery and beyond. 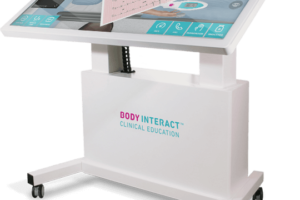 The HealthySim team has had the opportunity to receive training from Bobbie and Moulage Concepts and provides it our highest recommendation! Designed specifically for the needs of moulage professionals, this kit contains the necessary moulage make-up, supplies and accessories to create three dimensional interactive wounds that can be sutured, triaged, decontaminated and debridement including the basics such as bruises, cuts, bloody contusions, rupture-able blisters, broken bones, cyanosis and all manner of nursing, trauma, field and medical related simulation effects including Active Shooter Drills, Industrial Accidents and Explosions. The largest, most comprehensive kit on the market, this All Hazards/MCI Moulage Kit includes theatrical training supplies for over 250 types of wounds, a sturdy toolbox filled to the brim with moulage make-up, accessories, trauma make-up training DVD and book “Medical Moulage- How to Make Your Simulations Come Alive” a cutting edge manual filled with over 300 recipes and scenarios for the medical professional.  Highly realistic, durable, reusable, hypoallergenic, and designed to be used right out of the box. Made from movie-quality silicone rubber, these vividly detailed Bullet Exit wounds combine Hollywood theatrics with medical science. Hand crafted by master artists based on actual forensic wounds, these life-like training exits create realistic scenarios for your emergency preparedness needs. With no further makeup required after application*, these wounds are designed to allow trainees to identify and treat bullet exit wound and hemorrhagic care. To enhance realism, Moulage Concepts “Sim Safe Odor “Gunpowder” scent may be sprayed on the wound. 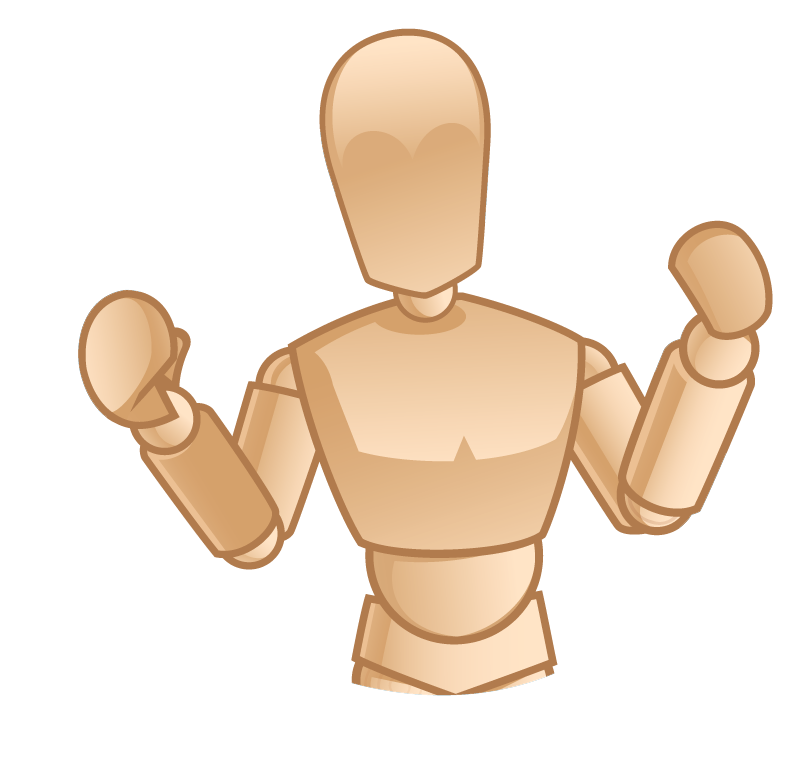 For use on standardized patients or simulation manikins. Make your simulations come alive with this cookbook for medical-trauma moulage. Large, beautiful, hardbound book with over 300 special effects recipes and scenarios for field and clinical simulations. Simple recipes designed for the beginner through advanced user including 1,200 vibrant, full-color illustrations, step-by-step directions, ingredient customization, pre-make, storage and “Set the Stage,” a quick guide to staging realistic training in both field and clinical environments. This comprehensive moulage manual includes staged wounds, cyanosis, mottling, blisters that rupture, sutured wounds, odors and just about everything in-between. 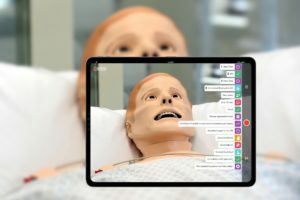 Heighten the realism in your training simulations with this easy to use moulage training manual. Read our comprehensive review of the Medical Moulage Book here! Tick Bite Moulage Recipe: To create the appearance of natural inflammation processes, alternate the intensity of color placed on the skin by the amount of pressure applied to the applicator and allowing some of the victim’s natural skin color to show through. Using water-based makeup products allows thorough coverage without absorption into the skin and lets you quickly fix areas of over application. Industrial Response, Fracture Blister: Using a make-up sponge, create skin reddening by applying pink makeup to forehead, chin and neck of an adult simulator, blending well into the hair line. Using an “ash” tone powder to simulate dust, apply powder to clothing, hair and surrounding surfaces. Underneath the pants and shoe area, apply fracture bruising to leg and foot of simulator. 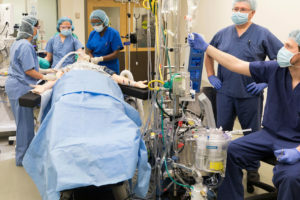 Carefully turn over equipment and place on top of the lower extremities. Create an appearance of dishevelment by tussling the hair and applying blood to back of shirt. Using training glass and metal, apply multiple small pieces of rubberized shard to hair, clothes and scene. Apply a light mist of premade sweat mixture to the forehead, chin, neck and upper arms. 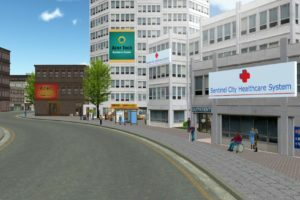 How to Create Jaundice: The jaundiced, injured elderly man in this scenario provides an opportunity for every level of learner to develop insights for QSEN competence in person-centered care. 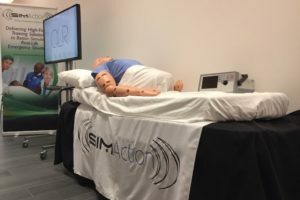 Let’s consider how simulation can be one piece of a bigger story to augment the wider curriculum. 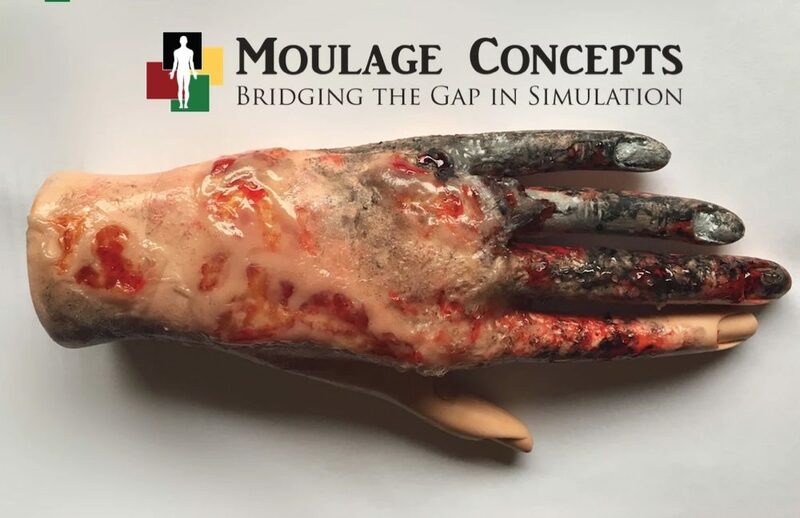 Visit MoulageConcepts.com To Start Your Moulage Training Now!